An Irishman on the run. He's left a lot of things behind him...but they're not far enough back. Conor McBride has lost everything, and if he can't find a way to disappear in a hurry, the next thing he loses could be his life. Running from enemies he's never met and haunted by his own destructive actions, Conor needs a refuge secure enough to hold his secrets. A farmhouse inn tucked amidst the green mountains of Vermont seems ideal, but when his past catches up with him, Conor discovers the beautiful young innkeeper has secrets of her own, and hers are more likely to get them both killed. 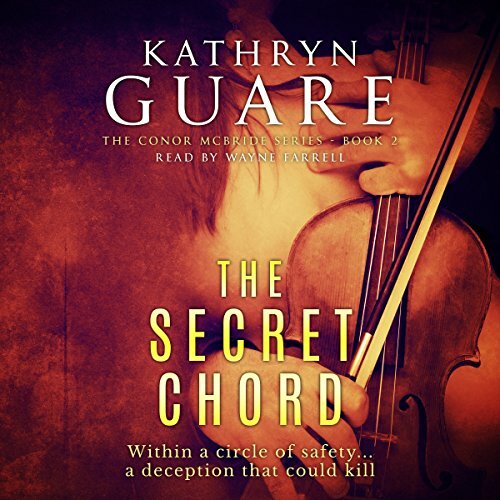 Would you consider the audio edition of The Secret Chord (The Conor McBride Series - Mystery Suspense Thriller Book 2) to be better than the print version? Yes.................... the narrator is able to bring out nuance in the story and characters that would not be possible in simply reading the book. This is my first time............. he did a good job in bringing the story to the listener. I was given the Secret Chord in return for an honest and unbiased review. I thought I should start with the first book.The first book in the series was OK for me but this book I really enjoyed. The Secret Chord is an enchanting ride with the Irish violinist/farmer/spy Conor McBride who turns up in Vermont and meets his match in artist/innkeeper Kate Fitzpatrick. I was immersed in the action from the start of the novel; Ms. Guare keeps you guessing where the plot will lead. Some characters met in Deceptive Cadence return and interesting new ones are introduced. Ms. Guare has a wonderful ear for dialogue and description and I would be remiss if I didn't mention her fine use of her native "green mountain" state as this novel's main setting. Beware, though—events will lead across the globe to culminate in some hair-raising plot twists! Wayne Farrell was once again outstanding with the delivery of the story. 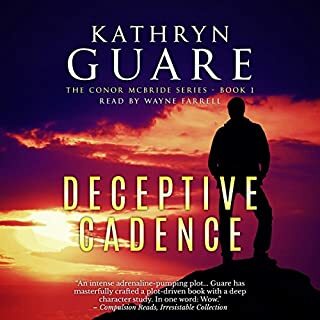 This is my first Wayne Farrell narrated novel and I have to say that he is as expressive as one of my favorites, Gerard Doyle. This book was so well written by Kathryn Guare that at times I had to stop and re listen to an especially well written section to savor it again. Coupled with Wayne Farrell's stellar presentation this is a book that I will revisit again. I was given this free review copy audiobook at my request and have voluntarily left this review. This is my kind of book. It has an entire menagerie of strange characters, that are well-defined and exciting to read about. Connor McBride is a man easy to relate to, and the many people he encounters as he runs for his life are each unique and interesting . Wayne Farrell does a great job presenting the milieu of each group, and comes up with an ending that boggles the mind. wow w! o ! w!!! Mystery and Love, two of the most popular topics readers pick up and Kathryn Guare does well to pair them together in this book. In the end, I was truly swept away by her extensive novel of agents, farmers, heiresses, and mobsters. Although, I must admit it was hard to keep up with all of the twists and turns created in the story but on the whole it was a story that kept me intrigued to the very end. Wayne Farrell's narration was very notable for me. His character voices were subtle yet distinguishable and his narration easy to listen too. Overall I would recommend this to all who love a good action packed mystery and don't mind a little love thrown in. This was a great suspense thriller. The narrator brought the characters to life and did a great job! I received a free copy of this book from the publisher and/or author and/or narrator in exchange for an honest review. Better than Book 1, which is good! I didn’t know what to expect from book 2 of the Conor McBride series. Book 1 ended well and didn’t require a follow up. However, Kathryn Guare outdid any expectation I had. It is not necessary to listen to the first book to enjoy and understand The Secret Chord; but I recommend it. You have a backstory that you wouldn’t have without it. I loved the interaction between Conor and Kate. I typically cringe at love scenes and detest predictable quotes. Ms Guare created a spunky but tender relationship in this couple that I enjoyed to the very end. 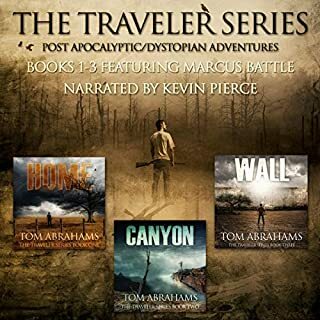 The action and intrigue just kept me excited to listen, especially for the last third of the audiobook. Thank you for bringing back an incredible narrator! Wayne Farrell IS the voice of Conor and does a fantastic job of switching from character to character. I was given a free copy of this audiobook in exchange for my unbiased review. What a wild ride this listen was!!! I absolutely loved every minute of it. Every. Minute. There was mystery and suspense aplenty. Layers kept peeling off and new information kept emerging. That was fun. The two main characters, Conor and Kate, were vulnerable and extremely likeable with kissable boo-boos. 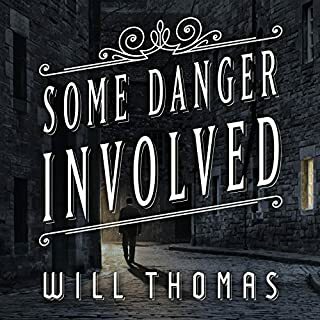 This second book in the series alludes to events in book one and you could benefit from having that first listen, even if it's just to understand the genesis between Conor and the CIA/MI5/DEA. Without it though, this listen still holds its own. The narration was insane! Farrell transitioned from a Irish brogue, to a female falsetto, to a 10 year old kid without breaking a sweat. I don't know how many more books are in the series but I'm all in. 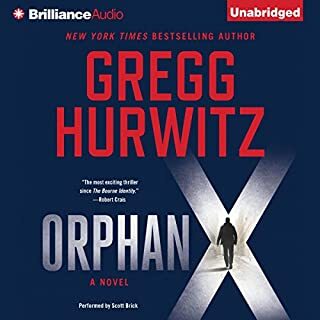 So excited this is finally out on audiobook! 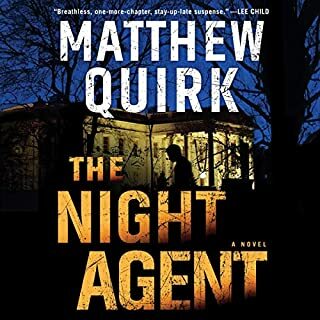 I couldn't wait for this to come out on audiobook, and Connor McBride didn't disappoint. 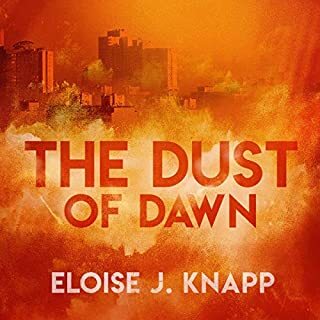 I enjoy this narrator and love the characters... Kathryn Guere hit it out of the park once again. We follow Conner McBride after he sells the farm and property after the death of his mother. Conner is world class musician and plays the the violin. He leaves Ireland and goes to Vermont to work on a farm and old Inn that his employee and friend introduced him too via internet.